Price start with ₹55499 per person. Use the form below to inquire about Highlights Of Kerala . Use the form below to reserve for Highlights Of Kerala . Experience the verdant tea estates, serene lakes and the tranquility of the backwaters with the Highlights Of Kerala package. 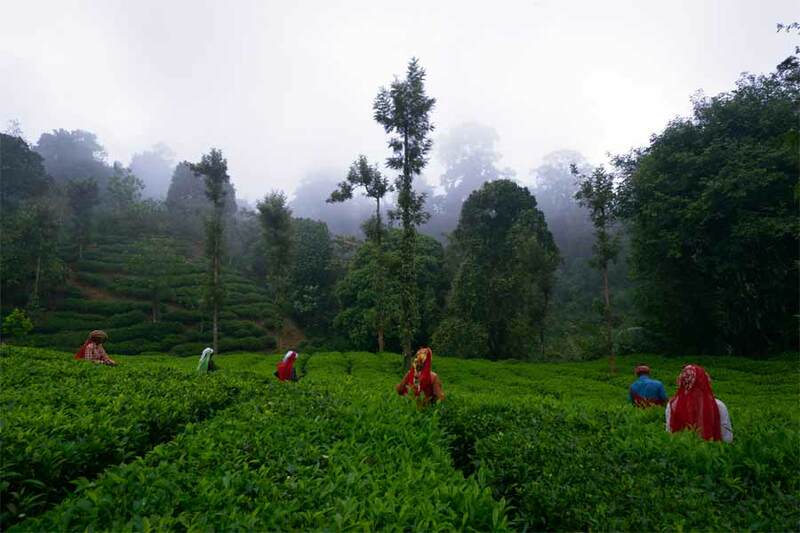 Kerala-God’s Own Country is blessed with abundant greenery, mountains whose slopes support tea, coffee and spice plantations as well as wildlife, intricate canals and backwaters and a palm-fringed coastline. 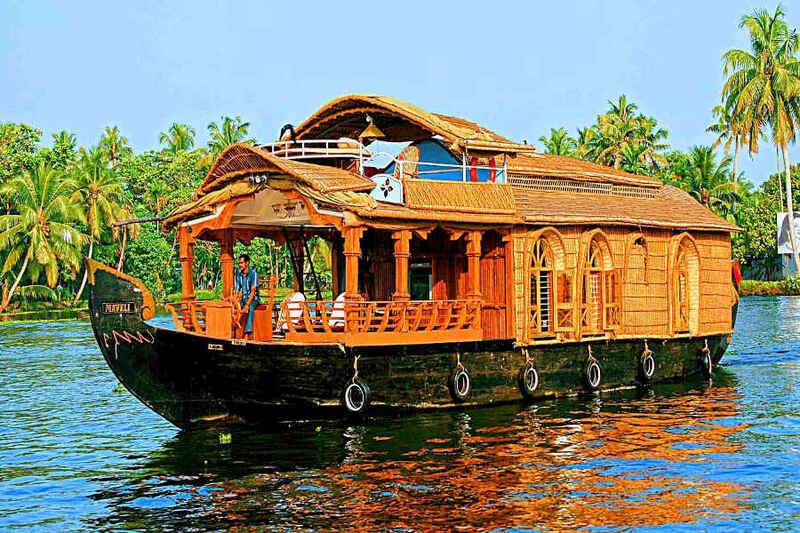 The Highlights of Kerala package covers all this and more. Kerala has three tourist seasons. Peak Season which ranges from September to March, Off Season in Kerala which is from April to May and Monsoon Season from June to August. Peak Season starts just after the monsoon in September and goes on till March just when the summer is starting and is considered to be the best season to visit Kerala. Valparai, a hill station in Tamilnadu, is located 3,500 feet above sea level on the Anamalai mountain range and stands majestically with green mountains and forest all around. Arrival at Kochi airport and proceed to Valparai. On reaching Valparai, check-in to the tea estate accommodation (or similar). Post breakfast you could explore Valparai at your own pace. 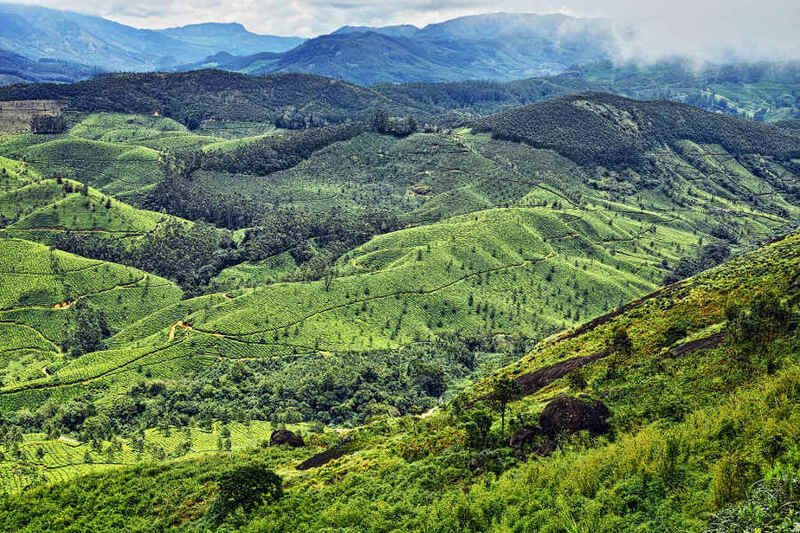 Visit the Nallamudi Viewpoint which has vistas of the Anamalai Hills in the Western Ghats, and surrounding tea estates. 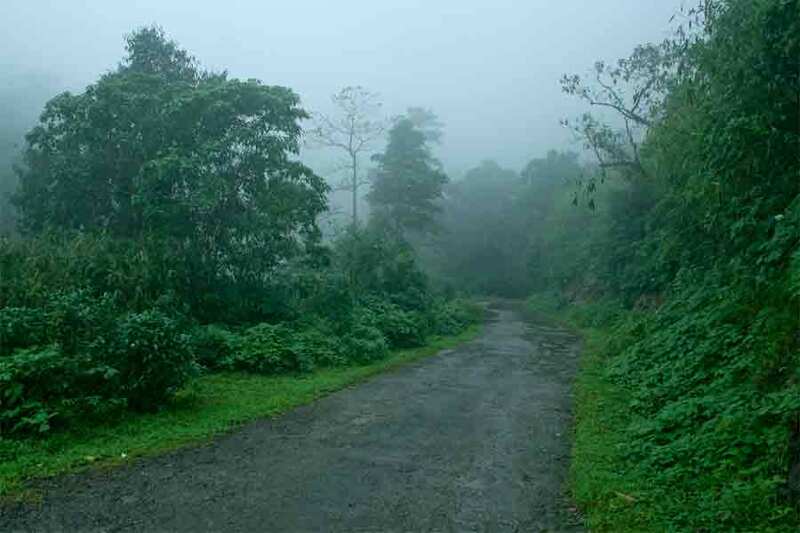 A drive on the route to Pollachi is an exotic experience as the route crosses the Anamalai Tiger Reserve Sanctuary. After sightseeing, retire for the day at the resort. Checkout from Valparai and proceed to Munnar. This is a scenic drive with green carpets of tea plantations welcoming you throughout. On arrival check-in to the tea estate bungalow (or similar). Post lunch you could explore Munnar at your own pace. The attractions of Munnar are spread in different directions, all of which cannot be covered in a day. You can choose the locations according to your preference. Our host at the resort will be available to help you decide. 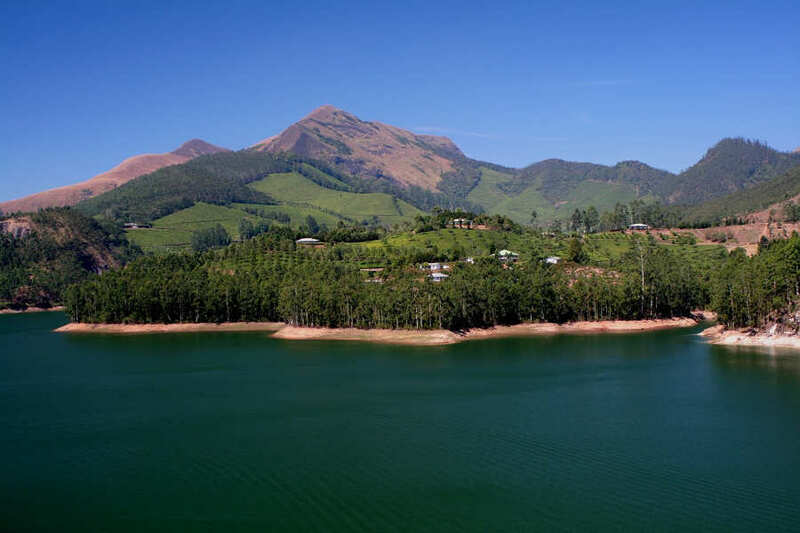 Thekkady, a popular wildlife sanctuary encompasses 777 sq km and has a 26-sq-km artificial lake created by the British in 1895. Check-in to a scenic eco-friendly resort which lets you enjoy the forest elements up-close and personal. 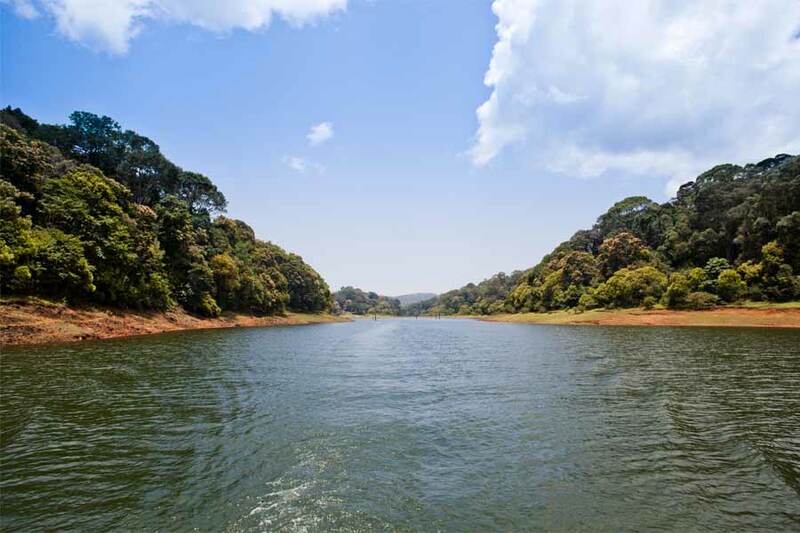 The afternoon can be spent boating on the Periyar and enjoying the wildlife sightings at Periyar Wildlife Sanctuary, home to Gaur, Sambar, Wild boar, Langurs, herds of Elephants and Tiger. Other activities on offer are Nature Walk, Bamboo Rafting, Jeep Safari in the forest, Spice Tour or an Elephant Ride. Gavi Forest, part of Periyar Tiger Reserve in Kerala is sure to keep you engaged with its captivating view of the wildlife. Blessed with nature’s bounty, the region is rich in flora and fauna which offer spectacular vistas. Waterfalls, hills, valleys, grasslands, and cardamom plantations all abound in the area. A haven for birdwatchers, the forest is also home to many endangered species such as the Nilgiri Tahr and the Lion-tailed Macaque. 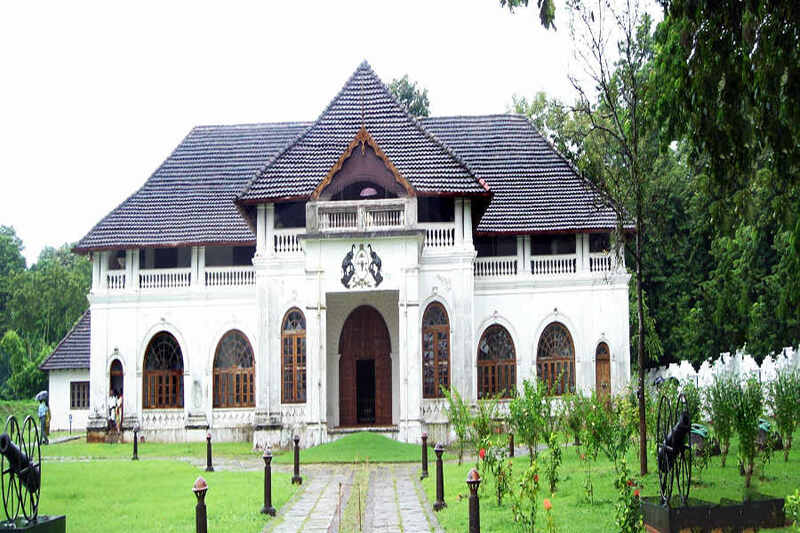 Check out from Thekkady and drive to Gavi. Overnight comfortable stay can be arranged in a Homestay, Forest Guest House, Tents or Tree House as per your preference. For those seeking adventure, overnight camping in the forest amidst the wildlife can be an exhilarating experience to go for. Alleppey or Alappuzha, popularly known as 'Venice of the East', will mesmerize you with its network of waterways bringing to you a glimpse of the local lifestyle. Early check out from Thekkady and proceed to Alleppey (Alappuzha). Check into the Houseboat by noon. Enjoy a cruise in the pristine backwaters of AAlleppeytill sunset. Spend the night at the houseboat. Kochi, located in central Kerala is a port city with a heritage of 600 years and is an intriguing mix of medieval Portuguese, Dutch and English culture blended into the tropical Malabar coast. Check-in to the Hotel on arrival and the rest of the day is at leisure to explore the city. 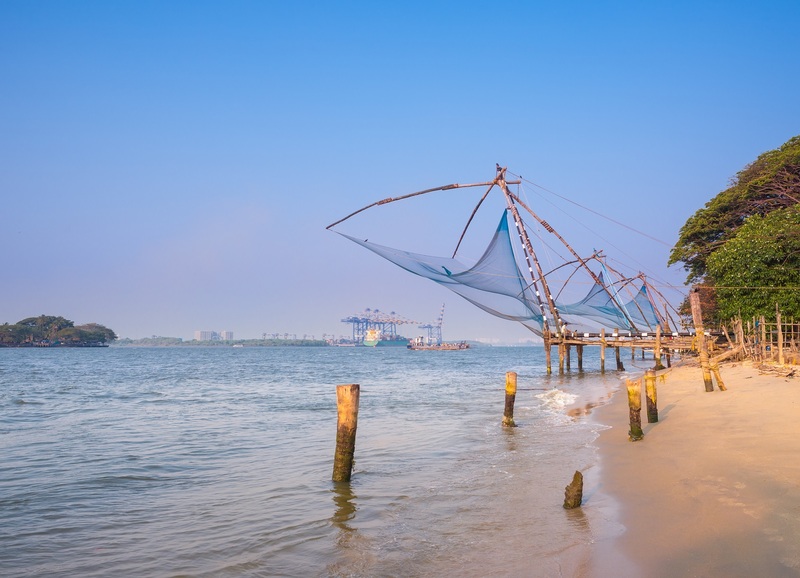 The Chinese Fishing Nets are distinctly unique to Cochin. It is believed that traders from the court of the Chinese ruler Kublai Khan introduced these nets here. The coastal stretch has loads of small stalls, which make on-demand mouth-watering traditional cuisines using freshly caught fish. Have a fabulous dinner and retire for the day. Evenings can be spent at unique themed cafes of Kochi which are worth visiting if you plan to finish a book over a cup of coffee. Kathakali performance shall be arranged for you in the evening at Fort Kochi, subject to artist availability on that particular day. Check-out from hotel and proceed to Kochi (Cochin) airport to catch your flight home. All meals except the breakfast on Day 1. Tour will end on Day 9 with breakfast provided at the resort in Kochi. A/C car starting from pickup at Airport till drop-off at Airport for departure. Toll charges and parking fees. International flight tickets and visa charges. Entry tickets at attractions and museums. Activity charges unless specifically mentioned in the inclusions. Tips for your driver, hotel staff, and guide.